Curiosity about how things work (knowledge), how things might be improved using treatments/interventions, and the impact of these changes on our patients, institutions and society are at the heart of research. Every day a clinician uses this pattern of thinking in seeing patients. We gather knowledge about the patient by taking a history, performing a physical exam, and obtaining ancillary/corroborative tests; we think of a way to improve the patient’s physical or psychological state by providing treatment, whether by reassurance/moral support, medications, procedures; we have the patient come back to see us to determine the impact of our treatments. When one starts wondering whether this same approach would work in other patients, one has begun to cross over into the research world. The research questions might relate to the kind of knowledge you have obtained from the patient and whether this knowledge might be available from other patients so that you can make a diagnosis; it might be a question about whether the medication you prescribed for the patient, based on what you know about the medication effects, would work in similar patients; and if on the return visit you find out that the medication was hard to obtain, it might make you explore whether this is true for many patients who were prescribed the same medication. Any of these questions could be developed into a research project of its own. A five-year old boy is supposed to have a PICC line placed for antibiotics under deep sedation. On interviewing and examining the patient, the patient is found to have a history of needle phobia and a probable allergy to midazolam (knowledge). You decide to use intranasal ketamine (intervention) for the first time since you have recently read an article about it. With the assistance of the parents, the child life specialist and the sedation nurse, you instill a low dose of ketamine intranasally without difficulty, the child shows a dissociative response within about 5-10 minutes, an intravenous line (IV) is placed and you continue the sedation with some ketamine IV. The patient wakes up within about 30 minutes, seems to be doing well and is discharged. The following day you call back and find out that the child had no memory of the IV or the procedure and the parents are immensely grateful for the experience. They have not yet received a bill at this time. (impact). ImpactWhat is the cost of ketamine and is this cheaper than using something else? Would the parents be as happy if they had to pay a lot of money for the ketamine used? Any one of these questions is a potential research question and answers could add new information to the procedural sedation community so that other children (and parents and providers) could have an even better and safer experience. After formulating a question, the first step for the clinician is to see what has been reported already. Searching in PubMed, Embase, the Cochrane Database, and other databases for studies, reviews, commentaries, usually provides up to date information. This step is useful not only in discovering new information but also serves to refine any questions coming out of clinical practice or even developing new questions. 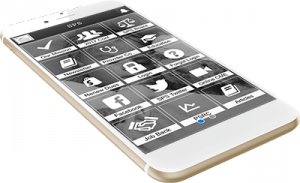 Once a research question has been developed and refined based upon the literature search, a strategy is developed to answer it in as precise and accurate way as possible. However, in contrast to basic research where the researcher has virtually complete control of all the factors that may impact an experiment, in clinical research activities this is not possible. Although it is critical to conduct clinical research using accurate, sound methodology, appropriate statistical tools and analysis, and in a way that allows for high generalizability, many clinicians do not have the time, funding, or other resources to conduct these kinds of formal clinical research experiments on questions that they have posed, especially those that deal with interventions. Nevertheless, virtually all clinicians can use the principles developed in quality improvement science to find reasonable answers to these questions. Finding answers using these techniques are not only more feasible, but more practical, with a higher likelihood of a rapid impact on the care in the particular setting in which the clinician provides care. This type of research usually works by carefully formulating a question relevant to the setting (such as above), establishing baseline observational data using small numbers of patients, implementing cycles of interventions to improve care over time, and measuring both compliance with the intervention and patient outcomes in small numbers of patients in an iterative fashion. Projects like this are being completed not only at individual institutions or practices but are also increasingly being done as multi-institutional projects. 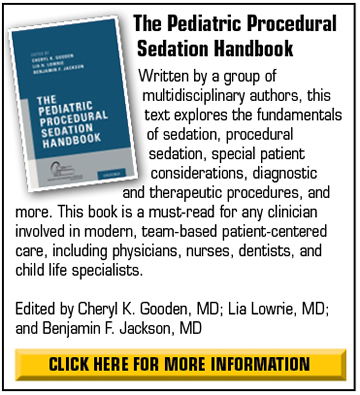 Finally, given the importance of continually enhancing our knowledge about pediatric procedural sedation practice including fundamental information about the basic science of sedation and ways to improve the safety and care we provide, even if a clinician is not able to perform either classical clinical or quality improvement research, it is strongly encouraged that one enables others to do so. Some simple things include contributing patient data to descriptive databases such as the Pediatric Sedation Research Consortium database which serves as both a science and a quality improvement database. 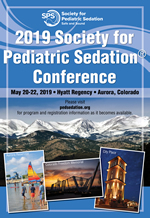 Multiple retrospective studies which have enhanced the pediatric sedation field have already been published from this data and undoubtedly more will be developed. In addition, if there is opportunity to join with even the simplest multi-institutional projects to explore a question that is of interest also in one’s own setting, it will be sure to bring you into contact with others who are curious, who enjoy being creative and developing new ways to enhance sedation knowledge and practice, and who would be excited to have your participation. In summary, clinicians already ask themselves multiple questions during patient care each day, most of which can be translated into research questions. Taking these daily experiences and using them as the basis for developing ways to obtain new knowledge either in one’s own setting or as part of a project that involves multiple settings is possible and clearly intended to improve the pediatric sedation care we are privileged to provide. To be part of such a process is exciting, stimulating and most rewarding! It is strongly encouraged!